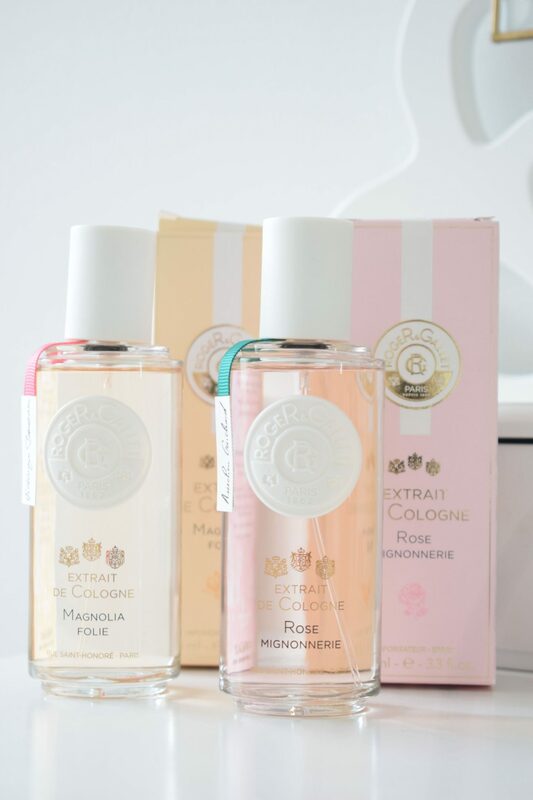 Towards the end of 2018, Roger & Gallet released two new fragrances to their Extrait De Cologne range; Magnolia Folie and Rose Mignonnerie. This line is designed to have the freshness of a cologne but the intensity of an eau de parfum. What is unique about them is that they each have an individual wellbeing benefit too, which certainly sets them apart from many other fragrances on the market. Plus the packaging is absolutely gorgeous! Magnolia Folie combines floral notes of Magnolia Flower Essence and Absolute of Orange Flower with woody, spicy notes and distilled essences of Jasmine, Cedre and Patchouli to create a woody floral scent thats stimulating, cheerful and joyful. The nose behind this scent is Frederique Terranova who created it using 87% of ingredients from natural origin which combine to create a scent that’s relaxing, restorative and designed to inspire feelings of self confidence and creativity. If you love a fragrance that isn’t over bearing and can be worn all day, every day then this one is for you but be sure to pop the bottle in your handbag to top it up throughout the day. The scent isn’t very long lasting and although the original spritz of it is beautiful, it is subtle so you’ll find that it’ll not be long before you need to reapply. I find that this scent smells energetic and has a light, crisp air to it that gives you a boost throughout the day whenever you reapply. 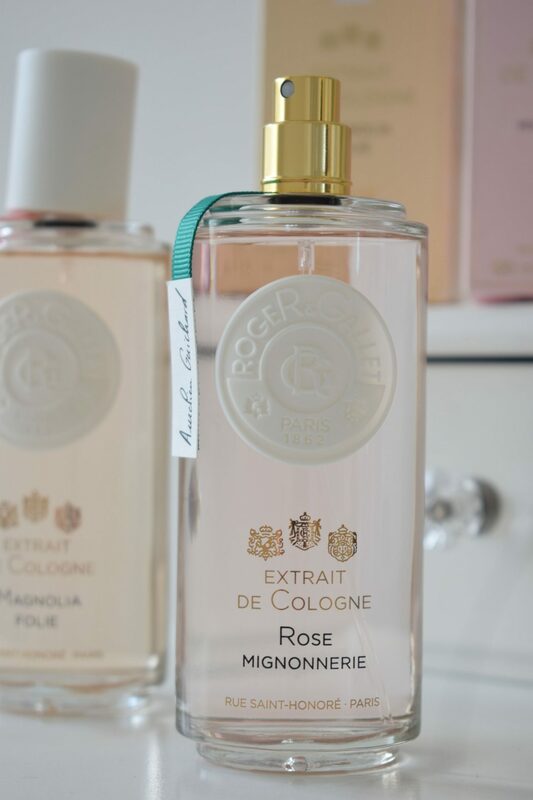 By comparison, Rose Mignonnerie is still a woody floral, although without the spicy notes that Magnolia Folie has, making it a more traditionally feminine scent. Created by perfumer Aurelien Guichard, Rose Mignonnerie is also formulated with 87% natural origin ingredients that combine together to create a scent thats designed to awaken the senses and encourage an uplifting air of positivity. It has notes of Bulgarian Rose and Basil, balsamic woody notes of Mandarin, Cedre Entraine and Elemi. The rose is more modern than the more heady use of this note and the overall scent is really beautiful. There’s something about a rose based perfume that has such a sensual air of romance about it. Far stronger and more longer lasting than Magnolia Folie, at least on my skin but again, it isn’t over powering or sickly. I’ll be the first to admit that I’m not usually a rose fan but I’ve really warmed to it over the last couple of years, I even have a red roses candle burning in my home at the moment! This perfume is a really wearable rose and a great starter scent if you’re wanting to get into wearing a beautiful fragrance with this key note. 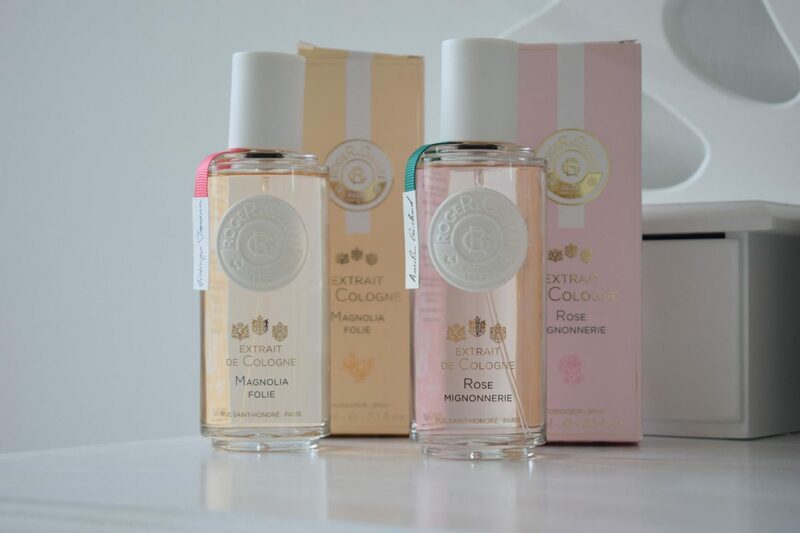 The great thing about these scents from Roger and Gallet is that they also layer really well with their other fragrances so you can combine them to create a bespoke scent for you, or go with their recommendation and pair Magnolia Folie with Feuille de Figuier (one of my personal favourites from their range- check out my Feuille de Figuier review) and Rose Mignonnerie with the Cedrat line. Both scents are available in 30ml, 100ml and 500ml bottles from Look Fantastic and Feel Unique. 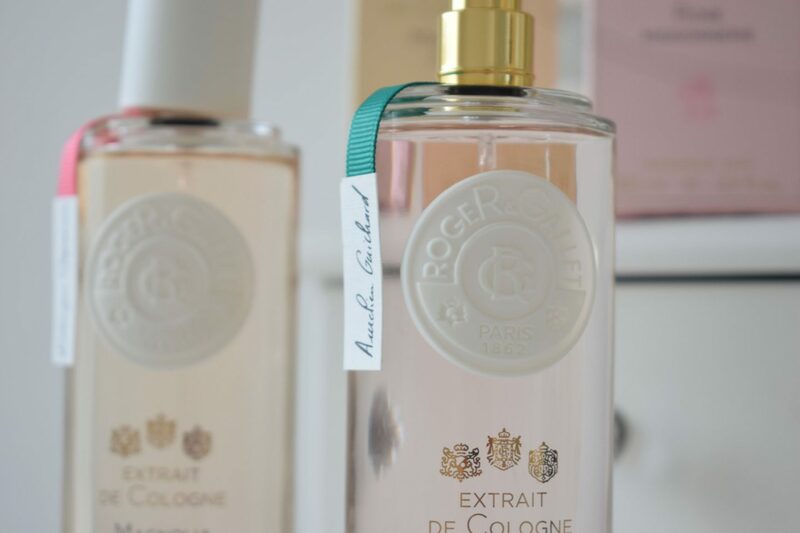 Which Roger & Gallet scent is your favourite? 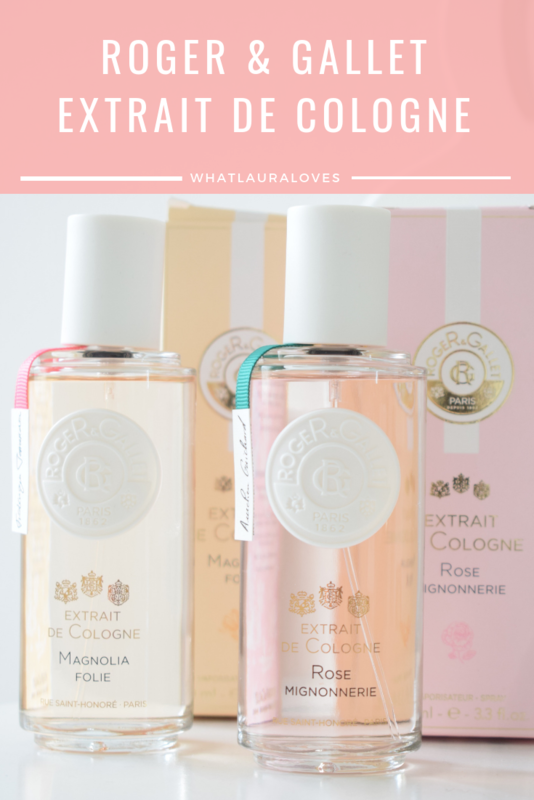 What fragrance notes do you love?